But to clean a white scarf can be a bit difficult. As you know, scarves and shawls come in different fabrics and makes, so it is important to do some careful measures in order not to damage them. 1. Understand the fabric first. Scarves and shawls come in various fabrics, from cotton to wool, chiffon to silk to lace. If you are using one of delicate material, then you should wash or clean it accordingly. For thicker fabrics, such as cotton and wool, you can clean them in the washing machine or soak them in bleach to retain the pure white shade. For delicate fabrics such as lace and chiffon, better wash them by hand, and hang them to dry. 2. Avoid too much sunlight. Sun drying your white shawl or scarf is a good idea, as the natural drying strengthens the fabric. 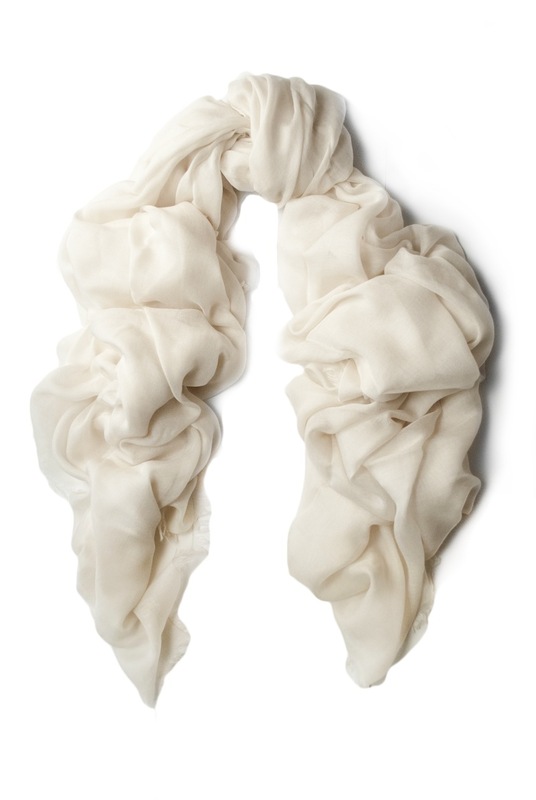 However, avoid the harsh sunlight (noon and afternoon hours) as these can stain the scarf and make it look yellow. It would be better to hang the scarf in the morning, or in the later afternoon-during these times the heat is just enough to dry the fabric without causing discoloration.